Get ready to open the door to new horizons with the arrival of our third ship, the Azamara Pursuit. Calling on 61 more destinations, we’re creating exciting new experiences the world over. We’re setting sail for South America once again, where we’ll be exploring new ports and delivering more immersive itineraries than ever before. And, as a Le Club Voyage member, you can book your favorite suites and staterooms on our 2018-2019 Azamara Pursuit voyages. Explore our most exciting featured voyages below, or browse all our Azamara Pursuit voyages. Book online to secure your spot on our new vessel. Suite and stateroom preferences are booked on a first come, first served basis. All Azamara Pursuit sailings are eligible for our Double Upgrade offer! Our Pricing and Savings Policy: All rates are per person, based on double occupancy, cruise only, in USD, and subject to availability. Rates may vary by ship, departure date, and stateroom category. All rates, savings offers and itineraries are subject to change without notice. Limited Time Rebooking Policy (“Policy”) must be booked by November 15, 2017. Policy applies to Quest and Journey bookings departing on or after August 1, 2018 (“Policy Period”). Guests may rebook on Azamara PursuitSM without incurring any cruise change or cancellation fees. Azamara is not responsible for any third-party change or cancellation fees incurred as a result of rebooking, such as airline and hotel fees. Original bookings, including all reservations made with bookings, including but not limited to shore excursions, dining, and spa, will be cancelled and payments will be refunded to the guest’s original form of payment. Guests will keep their original booking number for the Azamara Pursuit voyage but are responsible for creating new reservations for new sailing. Policy will honor onboard booking benefits and Future Cruise Credits under which original booking was created as it applies to new sailing. Policy is subject to the restrictions of these combinable promotions, including any blackout dates. 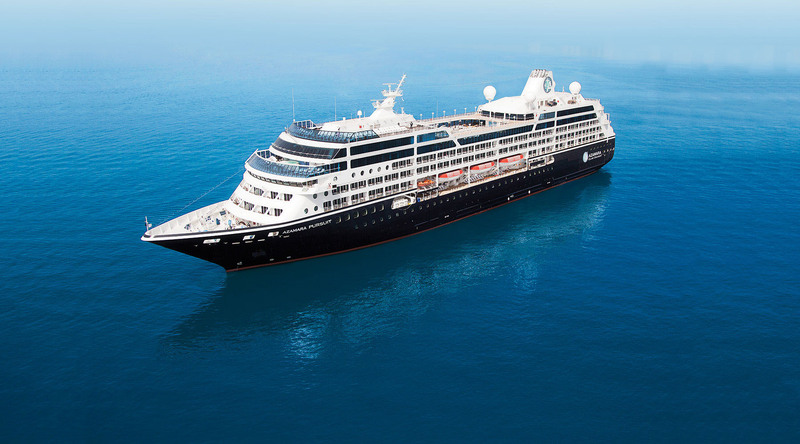 Policy will honor bookings created using Le Club Voyage Earned Nights; Policy excludes Azamara Pursuit voyages departing 13-Aug-2018, 22-Dec-2019, 6-Jan-2019 and 9-March-2019. All other charges, including, but not limited to, cruise taxes, fees, and port expenses, are additional and apply to all guests. Policy applies to individual bookings and non-contracted group bookings named and fully deposited during the Policy Period; excludes charters and groups already contracted with assigned sail date. Policy is combinable with onboard booking benefits, Future Cruise Credits, and LCV Earned Nights only. 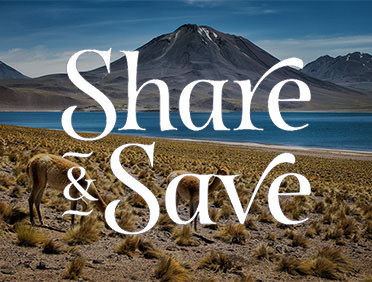 Not combinable with Azamara Club Cruises general marketplace offers, reduced single supplement rates, back to back savings, Le Club Voyage quarterly savings, Interline, Travel Agent, and Net Rates, savings, Employee or other Deep Discount rates. Policy is subject to availability and change without notice and may be withdrawn at any time. Azamara reserves the right to correct any errors, inaccuracies or omissions and to change or update fares, fees and surcharges at any time without prior notice. ©2017 Azamara Club Cruises. Ships registered in Malta.